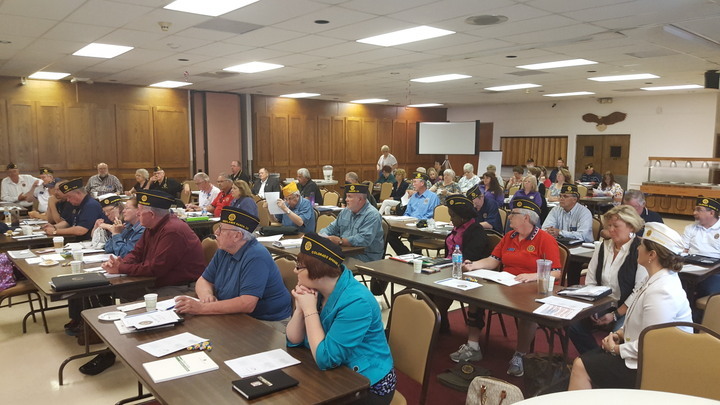 American Legion Family - Skills Development Seminar held at Post 161 Arvada, CO.
Mike & I took part in an all day training session. Plus, we celebrated our 40th wedding anniversary while there. Date(s): 05/21/2016. Album by Mike Rohan. Photos by Mike Rohan. 1 - 21 of 40 Total. 601 Visits. Colorado Commander Tom Florez does opening ceremonies. Jr. Vice Commander Terri Shelefontiuk teaches "Post Officers Expectations"
Sr. Vice Commander Jay Bowen taught "Working with Post Committees" and "Are You Mentor Worthy?" Candidate Rohan discussing "Our National Organization"
Past Dept. Commander Carol Kennedy teaching about "Motivating Volunteers"